I strongly recommend that this book (or my review) be read in conjunction with its counterpart for Guatemala, Secret History: The CIA’s Classified Account of Its Operations in Guatemala, 1952-1954 (or my review). I’ve been a clandestine case officer (C/O) with three tours in Latin America, including one in the 1980’s chasing terrorists, and while at the time I thought I was the Cold War equivalent of a Jesuit priest, I now see it all as terribly unethical, largely insane, and totally not worth the money, the risk, or the collateral damage. Both books provide easy-to-read and still very relevant history on how the arrogance of the US, unconstrained by US ignorance, had led to surprisingly successful regime change operations despite a host of errors. This particular book is published by a deeply anti-Zionist press, but the tone, while being churlish, is not so over-bearing as to be distracting. The book does achieve its objective: explain in no uncertain terms why Iran today despises the roots of its UK-US relations and the pillaging that was done by those two nations of its oil. See also Web of Deceit: The History of Western Complicity in Iraq, from Churchill to Kennedy to George W. Bush for the other half of the story. 2. US considered “nationalists” to be “totally destructive & reckless.” This is the generation that also considered women to be “children” without rights. 3. CIA had an Art Group back then, and produced a number of cartoons that would have made a magnificent addition to this book. One can only hope they were culturally informed. 4. 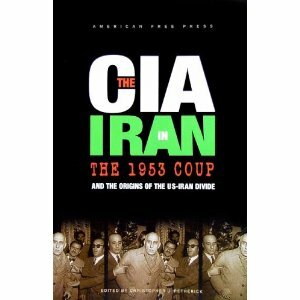 Communism in Iran was the cover for action, the entire action was blatantly to reassume control of the Iranian oil that the UK-US believed to be theirs by divine right. 5. Same guys that considered women to be children spoke with disdain of the “long-winded and often illogical Persians.” I’ve known Persians, back at Lehigh University, these guys are rocket scientists, no pun intended. 6. As with Guatemala, the CIA “formula” combined military/para-military action (including thugs terrorizing and ransacking) with very broad and well-funded and persistent psychological operations (PSYOP). 7. Shah had to be forced to play. 8. BBC was used to broadcast a phrase selected by the Shah to demonstrate that the Iranian principal agent meeting him actually did represent the UK government. 9. CIA placed articles in the US press with impunity (this is now illegal but appears to still be a current practice), with many individual journalists, especially in the New York Times and Washington Post, somewhere between media assets and groupies. 10. “Principal agents” that handled sub-agents were in vogue back then. 11. Plan included–and funded–“orchestration of terrorism and lawlessness.” For the same program in the Philippines, see Edward Lansdale’s Cold War (Culture, Politics, and the Cold War). 12. Plan was BLOWN, known to the government being threatened with regime change, AND most of the Iranian actors funded by US and UK were well-neigh incompetent–but it still succeeded. 13. Tudeh Party appeared to be fully appraised throughout. 14. Radio Tehran was the key to victory once the capital was taken, because it pulled the provinces along. 15. Churchill was angry with the Anglo-Iranian Oil Company, one can only presume they were so heavy-handed as to drive the Iranians toward nationalization. Fast forward to Huge Chavez, the USA is make precisely the same idiotic ideological and commercially corrupt mistakes today. Published in 2007 the book’s editor acknowledges Cryptome.org which along with Wikileaks and Secrecy News (Federation of American Scientists), comprises a trio of honest sources of public intelligence. The book itself is ten short chapters (83 pages total), with five appendices (the actual texts of the plans) and some background information. See my other 250+ reviews on books about secret government intelligence, and the other 1600 or so reviews in 98 different non-fiction categories, at Phi Beta Iota the Public Intelligence Blog. All lead back to their respective Amazon Page. Next PostNext NIGHTWATCH Extract: Korean POWs Alive Ergo VN?